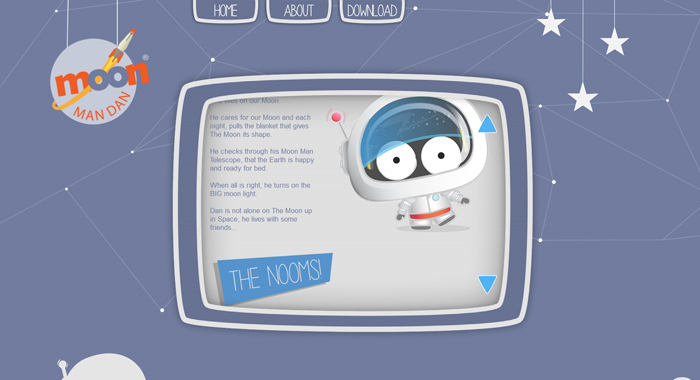 The design was done by Pickled Pepper Productions and ICM Studios carried out the build using HTML, PHP and Java Script. We were really excited to be a part of the build and production of this website as it was a unique and stylised design. Pickled Pepper Productions has been collaborating with ICM Studios since 2012, initially providing 3D rigging and rendering services as part of the development of our show, Moon Man Dan. 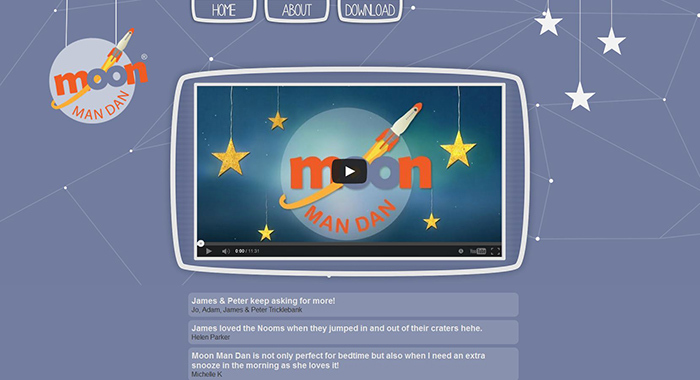 As our production and brand grew, we launched our animation and iPad App, It was only fitting that with ICM Studios knowledge in web development and user friendly content integration, that we commissioned ICM Studios to build and support our moonmandan.com website. Cathal Mellakh was our key contact at ICM and he was a fantastic character to work with and invaluable to our company and the Moon Man Dan brand. He clearly understood how our brand and concept would work in the market and provided clear and imaginative solutions to solve both our technical and creative endeavours. We continue to work with ICM to provide support for our website and as our company and concept will grow, so will our relationship with ICM Studios.